For over forty years, Saddleback Equipment Rentals has provided Cypress, Los Alamitos, and the greater Orange County area with high-quality tool and equipment rentals at competitive rates. Our staff is highly knowledgeable about a wide range of projects, including construction, home improvement, plumbing, gardening, landscaping, electrical, and automotive work, and are always happy to work with customers to identify the best tools or equipment for their needs. We believe in the sharing of knowledge; helping customers achieve their project goals; and offering the best value possible. In addition to tools and equipment, Saddleback Equipment Rentals also rents tents, tables, linens, chairs, chair covers, canopies, heaters, coffee makers, chafing dishes, rollaway beds, and more for all kinds of events. 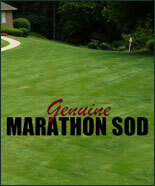 We also sell and deliver freshly cut sod from Genuine Marathon to anywhere in Los Alamitos & Cypress. And, as an added convenience, we work with Shred Wise to provide secure paper shredding services. Call or visit Saddleback Equipment Rentals today. Open seven days a week, we rent on an hourly, daily, weekly, or monthly basis. Customers can call ahead to place a hold on a particular tool or piece of equipment; we especially recommend this with our more popular items (such as truck rentals), as we have a very active customer base. We also provide on-site local delivery; rates vary based on geography. 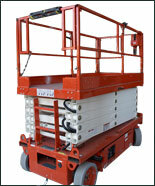 Saddleback Equipment Rentals is licensed and insured. If an item is new or unfamiliar to you, don't hesitate to ask a member of our friendly and experienced staff. We can show you how a particular tool works and/or provide advice on your choice of equipment. 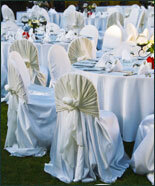 We provide high-quality party rentals to Los Alamitos and Cypress clients who are coordinating a wide range of events. Customers can rent out tables, chairs, linens, beverage/food services, canopies, heaters, wedding arches, rollaway beds (for overnight guests), and more. For outdoor events that require tenting, we offer tents in various sizes (40' by 60', 20' by 20', 10' by 60') to fit nearly any occasion. 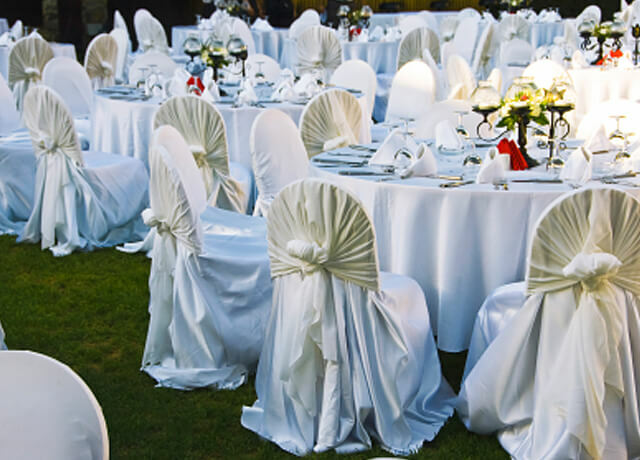 Whether you're planning a small dinner, a presentation, or a wedding, our staff will help you determine the best seating arrangement (such as banquet, classroom, or theatre style) and the ideal seating capacity. As with our other rentals, you have the option of picking up your party equipment rentals at our store or arranging for on-site delivery in Cypress & Los Alamitos. Party rental services can also include set up and take down. Call us today to reserve your party equipment supplies. July to August is our busy season, and we recommend that clients place their rental orders early to ensure availability. For reliable truck rental service in Cypress & Los Alamitos, call Saddleback Equipment Rentals today. 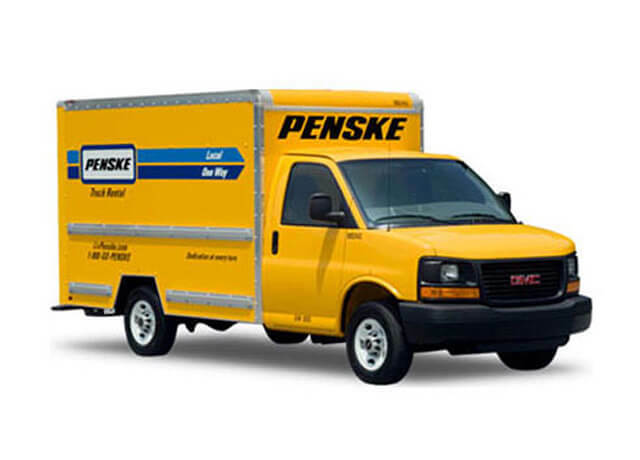 We offer Penske trucks in 12', 16', 22', 26' sizes, and our trucks are available for local, regional, or coast-to-coast moves. To ensure the truck rental of your preferred size is available on the day you need it, we strongly recommend providing us at least two days' notice. 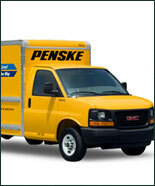 Our trucks are all professionally maintained by Penske, and adhere to their high standards. 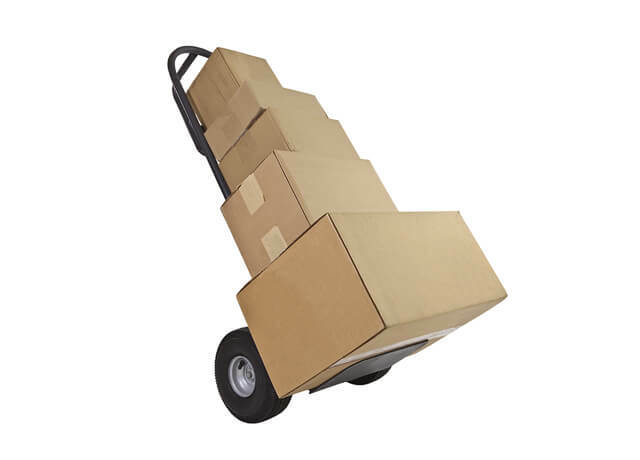 We also rent out moving supplies, such as moving boxes, packing materials, and blankets, as well as car carriers and car dollies for one-way truck rentals in Cypress & Los Alamitos. 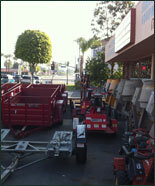 Saddleback Equipment Rentals provides Los Alamitos & Cypress residents with its own trailer rentals for local use. Available in 4x6, 5x8, and 5x12 sizes, our trailer rentals are very reasonably priced and well maintained by our highly experienced staff. Our trailers are available for pickup at our store's lot, where we'll help you properly hook it up to ensure a safe move. Customers use our trailers to transport furniture, heavy equipment, and other cargo. Let us know what you plan to move, and we'll assist you in selecting the best trailer and/or equipment rental for your use. In addition to trailers, we also provide rentals of trailer hitches, trailer light plug adapters, slide hitches (to assist in turning), chain binders (to keep items safe during transport), tow dollies (also known as two-wheel car trailers), and moving supplies. 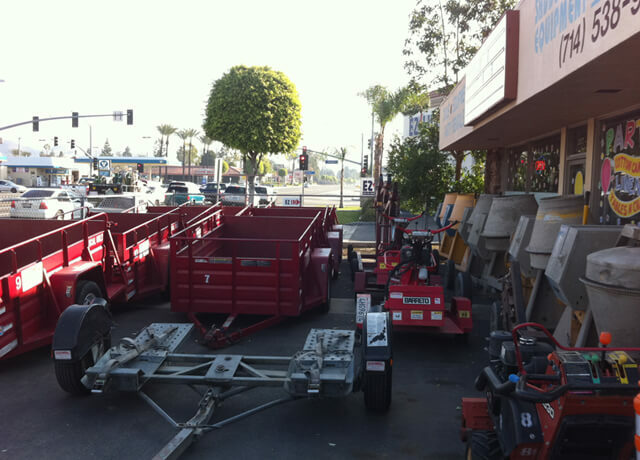 At Saddleback Equipment Rentals, we offer an extensive selection of lawn and garden equipment rentals to Los Alamitos & Cypress customers. Lawn and garden tools and equipment can be rented at an hourly, daily, weekly, or monthly rate. They're kept in good condition through ongoing care and maintenance, and always ready for immediate use. Our lawn and garden rentals include lawn mowers, edgers, and rollers; weed cutters; blowers; chain saws, axes, and stump grinders; and more. 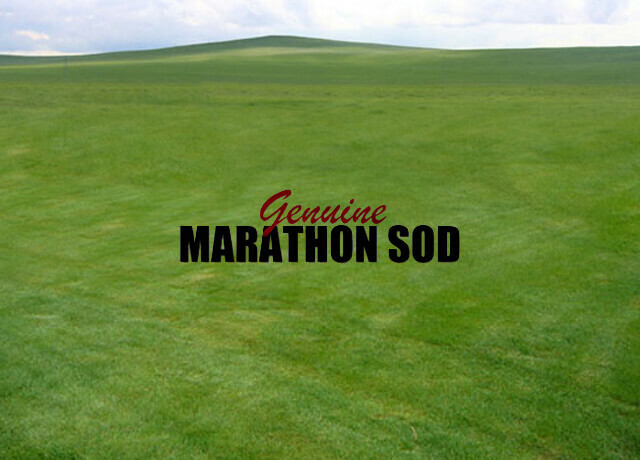 We also offer sod delivery services, which we cut the night before your pickup/delivery date to ensure maximum freshness and quality. Call us today to place an order. For sod that Los Alamitos & Cypress customers pick up in-store, we require a 60 square feet minimum order. For sod that is being delivered in the Orange County area, we require a minimum order of 200 square feet. Saddleback Equipment Rentals opens at 7 a.m., seven days of the week, ready to provide professional-grade equipment to Los Alamitos and Cypress, CA contractors. We offer a large and diverse range of contractor equipment that can be picked up at our store (we recommend calling ahead to ensure availability) or delivered (our delivery rates are based on location). 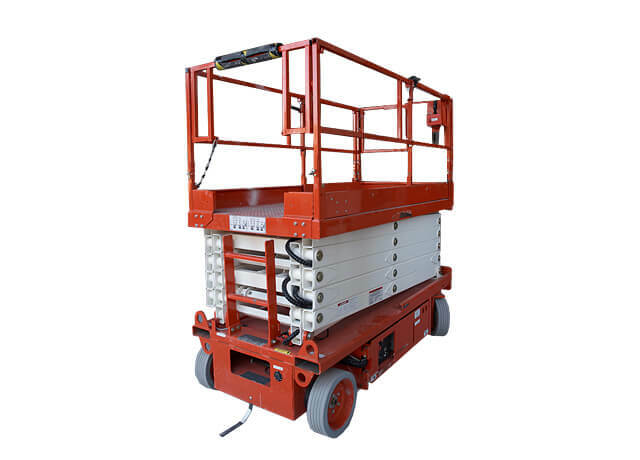 Our company has a bilingual and highly knowledgeable staff, and we're always happy to assist in the selection of our rental tools and equipment. Call today. Of professional grade quality, our power tools are all exceptionally maintained by our talented staff. We're always happy to assist our Orange County clients on how to use a particular tool and/or to provide advice on its best use. Call us today to reserve the power tool you need. We operate on a first come, first served basis; so, we recommend that customers call ahead and place a hold on the power tool they need so that we can have it ready for you to pick up when you come into our store. 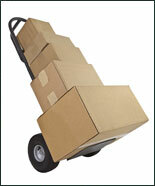 Alternatively, customers can arrange for on-site delivery. We delivery anywhere in Los Alamitos, Cypress, and the greater Orange County area. (Delivery rates apply). Saddleback Equipment Rentals works with Shred Wise to provide safe and secure document destruction services. Cypress and Los Alamitos customers can drop off their paper at any time, seven days a week. For shredding at our facility, we keep all documents locked up until the next shredding period, which is usually early each morning and at the end of each day. Shred Wise uses state-of-the-art mobile shred trucks that provide on-site shredding during normal business hours to clients throughout Orange County, and then provides off-site shredding at our facility when they return. Shred Wise's document destruction practices adhere to the industry's best practices and helps Orange County businesses and residents be more green by recycling 100% of the paper shredded. We charge $10 per standard file box when they are brought to our facility. To discuss volume pricing and discounts, or to inquire about on-site shredding, call or visit our store.